The Federal Government on Wednesday chided university lecturers, ASUU, over their ongoing indefinite strike; saying if all sectors of government decide to down their tools until all their problems are solved, the country would shut down. The Minister of Information, Labaran Maku, gave the government’s position on Wednesday while briefing journalists at the end of the weekly meeting of the Executive Council of the Federation, FEC, in Abuja. “This country belongs to all of us, if we all insist that every sector problem must be completely solved, we will down tools we will not work, then the country will stop working,” he said. The minister directed his remarks to university lecturers, ASUU, who have been on a nationwide strike for over two months; insisting government implements a 2009 agreement it had with the union. “We are partners with ASUU, we are friends. They are our patriots and we understand the critical role that the universities teachers are doing to create a new society that we are hoping to have. “But at the same time, this is a reality question that we need to look at and we have to put the nation first,” he said. Mr. Maku, who said the federal government has spent a lot on the development of tertiary education across the country, appealed to the lecturers to have a rethink on its demands by considering the fact that there are many other competing demands from other sectors. He said outside of security, education is one of the sectors the government had expended a lot of money on. “I know all of us desire more from the system but the truth is that there are limitations and from the limitations we have, we believe that ASUU really needs to do rethink and ensure that we reopen our universities because really we are feeling the pain of our children being at home and this indeed is completely avoidable,” he said. “Don’t forget that in 2010 we announced a 53.4 per cent increase on public salaries across board which affected all people in the public service, that has still left a huge deficit in the annual budget of the country. 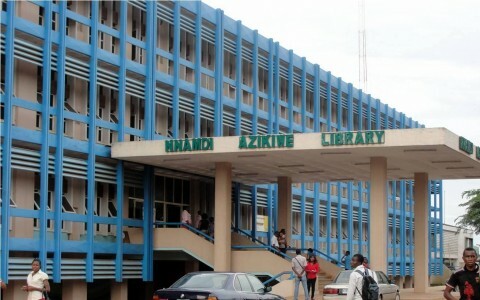 The minister mentioned the completion of 37 projects in University of Benin, multiple on-going projects in the University of Port Harcourt and University of Jos, as well as many polytechnics and colleges of education as some of the actions of the federal government in the education sector. “Government has priorities. Education remains number one priority and will continuously remain the number one priority of a developing country like Nigeria. There is no way we can avoid it, the quality of human capital is going to determine the future of our country. But at the same time, when you look at the environment today, we are dealing with the question of power, railway that had broken down how years,” the minister added. In her statement, the Minister of Education, Ruqayyat Rufa’i, said the government already made its stance clear. She accused ASUU of portraying the federal government in a bad light by claiming the government was unwilling to implement the 2009 agreement. Ms. Rufa’i said ASUU should take the initiative to address some of the issues it wants the government to resolve. Some of the demands of the university lecturers include increased budgetary allocation to education sector up to 26 per cent, payment of Earned Academic Allowances to lecturers, and provision of critical infrastructure to universities. Many of the demands were resolved in an agreement signed between the federal government and ASUU in 2009. However, while ASUU demands a full implementation of the agreement, the government said it cannot implement all and is seeking a re-negotiation of some part of the agreement.